ItemA-02786 - Interior Of The Second Christ Church Cathedral In Victoria. ItemA-02789 - St. John's Church in Victoria; also known as the Iron Church; NE corner of Douglas and Fisgard Streets. ItemA-00523 - Glacier House being demolished. 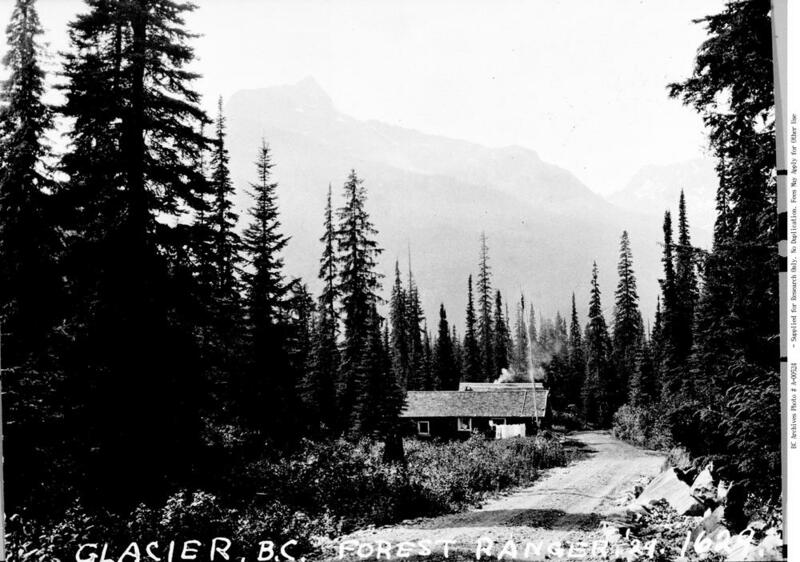 ItemA-00524 - Forest Service Ranger Station, Glacier. ItemA-00525 - Back of the legislative buildings, Victoria; shot taken from the corner of Government and Superior Streets. ItemA-00536 - Victoria Harbour showing sailing ship Sierra; Christ Church Cathedral at right, St. Andrew's At centre. ItemA-00537 - James Bay Athletic Association Clubhouse, Victoria, Belleville Street, showing federal government drilling rig to left dredging docks. Item A-00524 - Forest Service Ranger Station, Glacier.